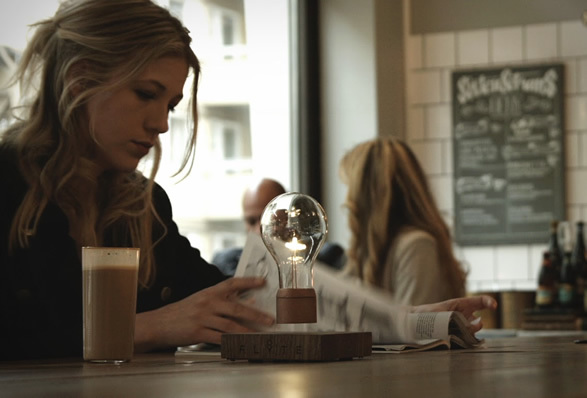 Flyte is a levitating light which magically hovers in midair! 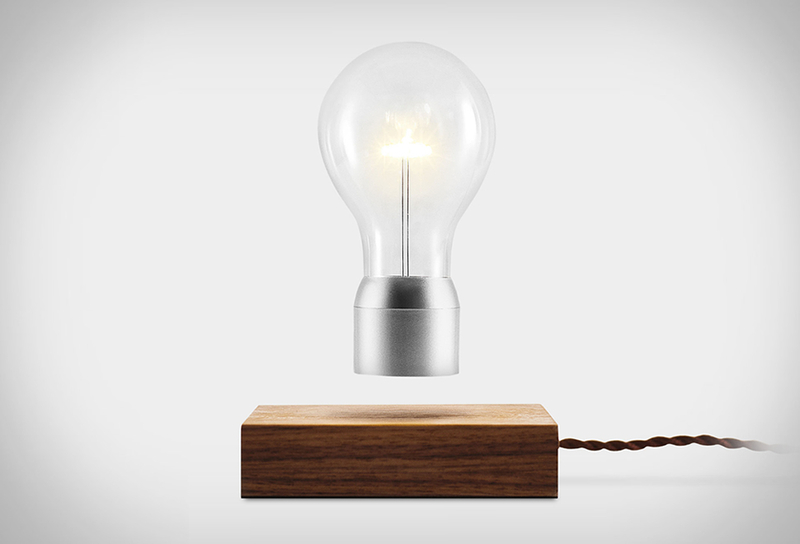 The LED light bulb defies gravity by floating above a wooden base by magnetic levitation. 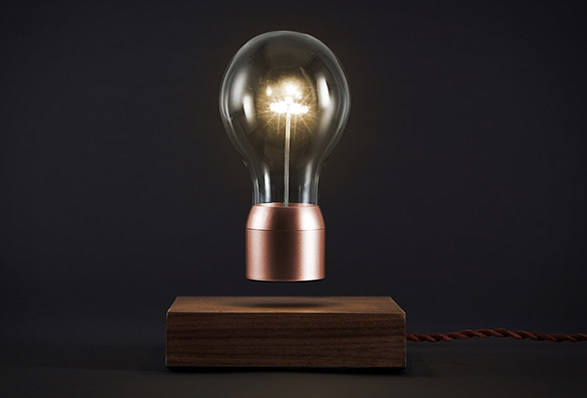 This futuristic take on the Edison bulb also rotates slowly in the air, adding even more mystery to this extraordinary object. 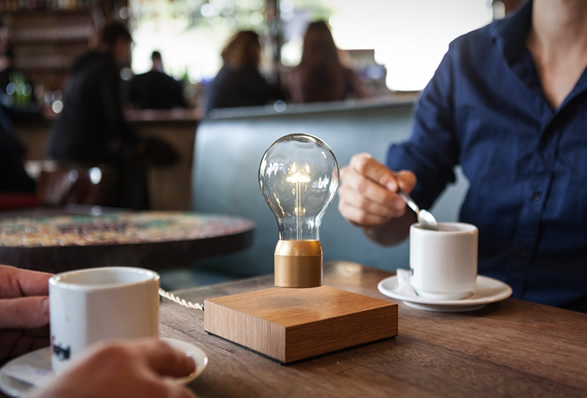 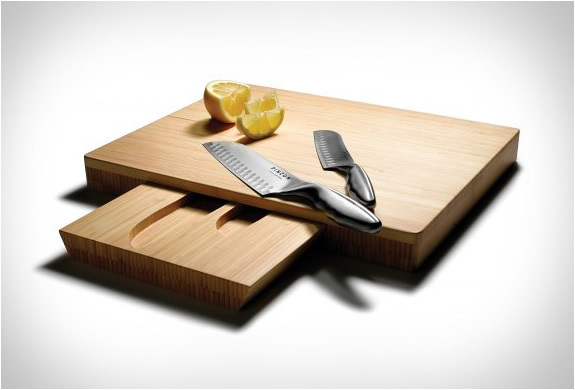 To add to the coolness factor, you turn it on/off with a simple touch of the base. 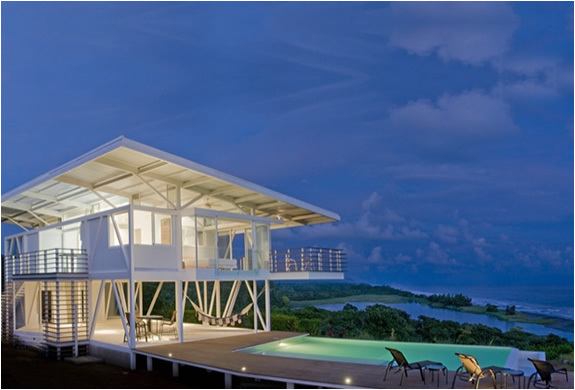 Check out the video below to see it in action. 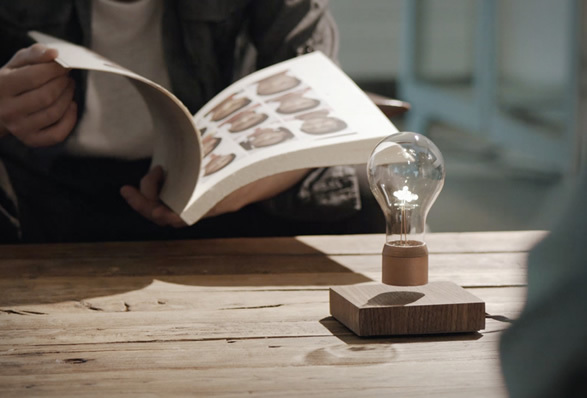 Flyte : Levitating Light from Narwhal Pictures on Vimeo.